In a now long forgotten world, many generations ago, a bird like shape emerged from wooded darkness, floating and fluttering, drifting and dreaming. Backlit by a bright glow of iridescent light, the undecipherable form wore a dazzling golden mask. Its long beak swooped down like an inverted horn and since then, people have referred to the mythical being simply as Claptone.Years spending wandering medieval landscapes have informed Claptone’s view of the world, experiencing both magical mystery and muted melancholy he enchanted onlookers with occult instruments and beguiling sounds. Forever surrounded by a sense of intrigue, the world soon cottoned on to the elusive yet enchanting musical powers of this otherworldly beast. The results are that today his shamanistic sonic powers take him all around the world.By now we all know that 2012AD proved to be a year dominated by Claptone’s infectious ‘Cream’ track. It became an immediate hit, topping new world charts at Beatport and RA. In 2013 his shamanistic sonic powers really took him everywhere - the mystical figure played 200 shows in 130 cities on 6 different continents. Hot productions to bleed from this shadowy one’s lair include ‘No Eyes’ and ‘Wrong’ which both topped Beatport charts, got played by everyone, were ubiquitous across Ibiza all summer and also picked up plenty of Radio 1 plays from Pete Tong and Annie Mac. But that’s not all, because remixes of the Pet Shop Boys, The Magician and George Morel’s classic house tune ‘Let’s Groove’ also managed to capture audiences under their spell.As for 2014AD, already it has been a whirlwind ride for this avian form as he released 'Ghost feat. Clap Your Hands Say Yeah' and ‘United’, which made #1 in the Beatport Deep House Release Charts. Remixes of the late great Romanthony as well as Klaxons have also got the world hot under their collar and as such 70, 000 fans on Facebook are now clamouring after Claptone’s every move and soon they are to be treated to the wondrous thing that will be his debut album. Featuring lots of fantastic collaborations with renowned singers, it is sure to be a fine artistic statement that sums up exactly what this strange figure is all about.Deep and woozy, the Claptone sound pairs theatre with tragedy, feel good vibes with acute melancholia and imbues￼￼￼Artist Bio1 each groove with a Rhodes laced funk, an organic string hook and myriad earthy elements. 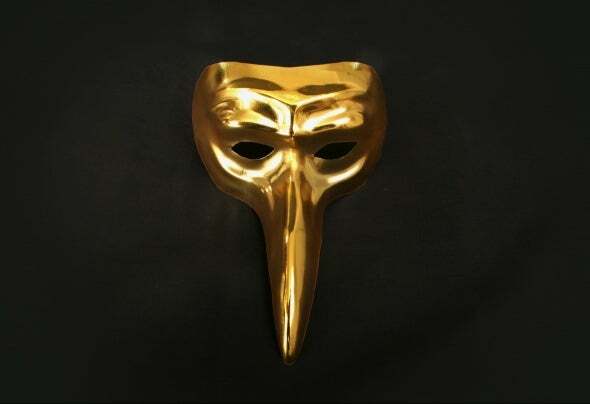 Up to the present day, Claptone releases have been birthed on Germany’s influential Exploited label but who or whatever Claptone is, it is alive, with a life of its own, evolving and revolving in equal measure, exploring new sounds naturally and forever taking inspiration from long gone and occult worlds.